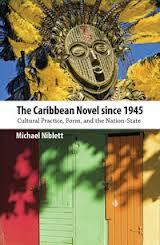 Michael Niblett’s research interests centre upon Caribbean literature and culture, as well as world literature, environmental history, and critical theory. He is interested in the literary encoding of ecology, modernity, nationhood, and class struggle in texts produced in the Caribbean and in other peripheral and semi-peripheral areas within the capitalist world-system. Between 2009 and 2012, he was involved in a Leverhulme Trust-funded research project entitled Literature and the Environment in the Caribbean: The Case of Guyana, which examined the intersection between aesthetics, the environment, and social justice in Guyana. His current research explores the ways in which world literature might be reconceptualised through the prism of what environmental historian Jason Moore terms the "world-ecology". Forthcoming publications include studies of the literary mediation of commodity frontiers and ecological revolutions; of the different political ecologies of resources such as oil, sugar, and rubber; and of the economic-ecological dynamics of boom-towns. He is also Principal Investigator on an AHRC Research Grant based in the Centre, titled Decolonizing Voices: World Literature and Broadcast Culture at the End of Empire. Making use of the unique access the Yesu Persaud Centre has to the papers, diaries, and letters of the BBC producer Henry Swanzy, the project examines the networks of literary and cultural production in the Anglophone Caribbean, West Africa (specifically Ghana and the work of the Ghana Broadcasting System in Accra), and the mediating role played by the BBC Colonial Service in shaping the stylistic and political contours of emerging world literatures in the twentieth century. The project aims to map out a cultural topography of the uneven production, circulation, and reception of cultural forms within the world-system at the time of decolonization (1945-1968). The project team comprises Dr. Chris Campbell (Warwick), Dr. Victoria Smith (Warwick), and Professor Stewart Brown (Birmingham). Please see link for further details. As part of his research into world literature and world-ecology, he is engaged in developing a research network under the rubric of Global Frontiers: Ecologies, Commodities, Labour, and the Arts (ECLAs). 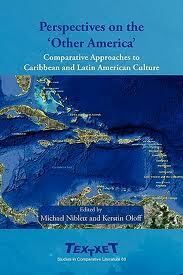 This network involves colleagues from the UK, Ireland, and the Caribbean and includes a range of interconnected themes, programmes, and events: "Plotting the World System: Cash-Crops, Foodways, and Literary Representation", "Captain Swing and King Sugar: Approaches to World-Ecological Comparativism", and "Islands Unchained" (a series of talks and workshops held in the UK and the Caribbean). For further information about the network, see link below or click on tabs at the top of the page. He would be interested to hear from research students working in any of the areas outlined above.